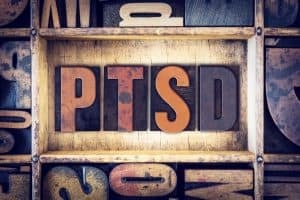 Making a Claim for PTSD After Your Accident | Gainsberg Law P.C. If you are involved in an accident in Chicago that results in severe bodily injuries, as the victim you may face consequences that include an extended recovery period, time off from work, medical complications, scarring or disfigurement, and disability. All of these can prove to be devastating and potentially life-changing. Beyond the physical losses, you may also face mounting medical and hospital bills. Any or all of these factors can contribute to the development of post-traumatic stress disorder (PTSD). This condition affects a person’s ability to function normally from day-to-day, causing a severe decrease in the individual’s quality of life. PTSD often dominates the individual’s life, negatively affecting the ability of the person to interact with others and socialize, as well as function properly on-the-job. The mental and emotional damage that accompanies this condition entitles the victim under the law to pursue compensation in a personal injury claim. Proving PTSD is not straightforward. The plaintiff (victim) will face a significant challenge proving he or she is suffering from this condition without obtaining supporting testimony from an expert witness. One or more expert witnesses are required to testify when a fact issue exceeds the comprehension of the average juror. These experts have the knowledge and experience to explain a complex issue and in some instances provide an opinion as to whether the alleged victim is or is not experiencing the problem or disorder, such as PTSD. If an expert witness happens to be a therapist evaluating the patient, he or she will have the ability to testify whether the plaintiff demonstrated these symptoms of PTSD or not. Otherwise, the expert witness can provide the court with his or her assessment as to whether or not the plaintiff is suffering from PTSD. The above symptoms and others could indicate the individual is suffering from PTSD in the aftermath of a serious accident. Damages in a personal injury lawsuit involving PTSD may be pursued for pain and suffering, emotional distress, lost wages, and medical expenses. An experienced Chicago personal injury attorney can work with you and your medical team to evaluate and document your PTSD symptoms in order to help you pursue compensation for your injuries. This evidence may include obtaining the accident report, medical bills, hospital records, witness accounts, and any other crucial documentation. At Gainsberg Law, we understand how devastating accident can produce not only serious physical, but also emotional injuries upon the victim. If you are suffering one or both of these types of injuries right now due to an incident involving the negligence of another party, we can help. Allow us to review your case and determine your right to secure compensation for your losses. To schedule a free case evaluation, call us today 312.313.1621 or use our contact form to send us a request. "Neal Gainsberg was an excellent attorney. He explained everything to me and made the process very easy. He was available to answer any questions and provided the help and representation that I needed. I would use Neal again if I had another legal issue. I urge anyone who is looking for a lawyer to call Neal." "Neal Gainsberg was our lawyer in a car accident case. We were both injured in addition to our 16 month old daughter. Even though the other driver ran the red light and we had witnesses of her illegal conduct, her insurance company at first denied our claim and said it was our fault. We hired Neal and he fought the insurance company hard. Without having to go to court, he was able to convince the insurance company that it was their driver’s fault. Neal got a great settlement for us and our child within three months of the accident. We were very happy with Neal, he kept us informed about everything, and eased our stress from the accident. If you want an excellent car accident attorney, you need to hire Neal!" 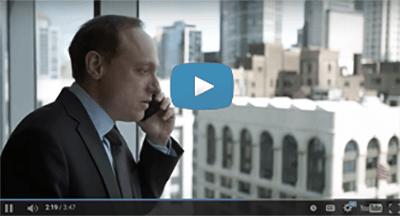 "Neal Gainsberg is a smart and an aggressive lawyer. He did a great job on my case. He helped me with a money dispute with a former friend and obtained a judgment for me. Neal listened and paid attention to any question I had, answered my calls right away, and was there for me at every point during the case. He knew exactly what to do in court. If you are looking to get compensation, I highly recommend that you hire Neal." "Neal is a great attorney. He helped us with several legal issues, including obtaining a large settlement for us following a car accident. He worked very hard on our case from the start, answered all our phone calls and questions, and kept us continually updated. Since then, we have used Neal for other civil matters. We have known Neal for over 13 years, and call him whenever we have a legal question. We know Neal will be there to help us." "Neal Gainsberg took my personal injury claim against large store after I fell on water and injured my knee and back. The store employees disputed that anything happened and the manager accused me and my son, who witnessed the fall, of making it up. Neal brought a lawsuit against the store, took several depositions of the store employees, and obtained a great settlement for me and my family. Neal fought hard on my case, and I was very pleased with the results." "Neal Gainsberg was a great lawyer. He represented me at a small claims trial and obtained a great result. Neal was there for me and answered all my questions even though my case was not that large." "Neal Gainsberg at first represented me in a Chapter 13 Bankruptcy case. He explained everything to me and developed a payment plan that I could afford. Whenever I had any questions, Neal responded quickly to any emails or phone calls. Unfortunately, I lost income during my plan, and Neal recommended that I convert the case to a Chapter 7 case. Despite my worries about my finances, Neal made everything easy for me, converted the case, and made sure that I received a fresh start. Neal was very knowledgeable about bankruptcy law, and I highly recommend him as a bankruptcy lawyer." "Neal Gainsberg helped me obtain long-term disability benefits. The insurance company denied my claim and cutoff my benefits even though I was set for surgery and there was no way I could work. Neal collected my medical records and letters from my doctors and had my benefits reinstated. I have had no issues with the insurance company once I hired Neal." "Neal Gainsberg represented me in my Chapter 13 case. He knew all the details about bankruptcy and my case, explained everything to me in the beginning, made every issue easy to understand, and provided the help I needed during the five years of the plan. As a result of Neal’s legal assistance, I was able to make all my plan payments and get a fresh start. I highly recommend that anyone considering bankruptcy to give Neal a call." "After my former lawyer refused to continue with my auto accident case, Neal Gainsberg took over the case, and he was able to obtain a settlement for the other driver’s policy limits. He was actively involved in my case, returned all my calls, and explained any issue that I had during the case. After I spoke with Neal, he was able to resolve any problems or issues. Neal provided exceptional representation against the insurance company for the other driver. Since Neal settled my case, I have recommended him to my family members and friends. If you have a legal issue, you should call Neal and hire him to be your attorney." "Neal Gainsberg represented me in a personal injury case after a vehicle struck a motorcycle that I was riding on. Neal made sure I understood my rights as an injured party, and that I was receiving the proper medical attention. He did a great job in negotiating a settlement with the insurance company and making sure all my medical bills were paid and that I was compensated for my injuries and loss time at work. I recommend Neal as a lawyer to anyone who unfortunately is injured in an accident."